Join us for the 2nd Brazoria County Block Walk on Super Saturday, June 21st! 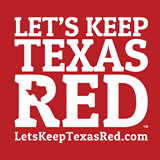 Texas Red by knocking on hundreds of doors and engaging voters; this month let’s continue our great grassroots effort and continue to expand our outreach! Free Abbott T-shirts for all RSVP’d volunteers! For questions please comment on the event page.